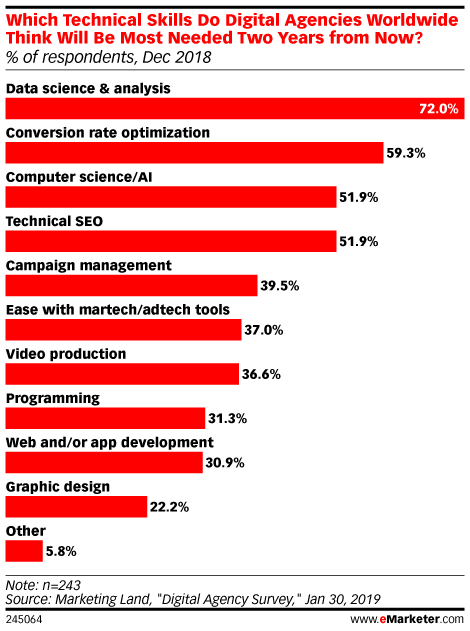 Over the past five years, 67% of marketers have significantly increased their focus on data and analysis, according to research by YouAppi and Dimensional Research. However, competition for talent is still the second-leading challenge facing agencies, according to Marketing Land’s poll. (Clients moving services in-house was cited as the top challenge.) Read the rest at eMarketer.